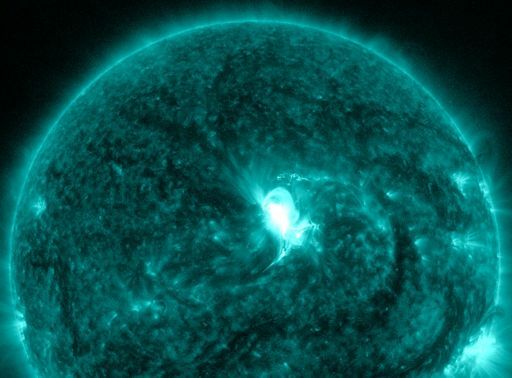 Solar wind flowing from the indicated coronal hole should reach Earth on June 27-28. Credit: SDO/AIA. Noctilucent Clouds The northern season for NLCs is underway. 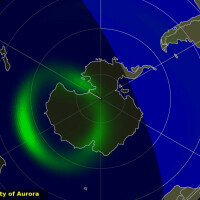 NASA's AIM spacecraft spotted the first noctilucent clouds over the Arctic Circle on May 19th. 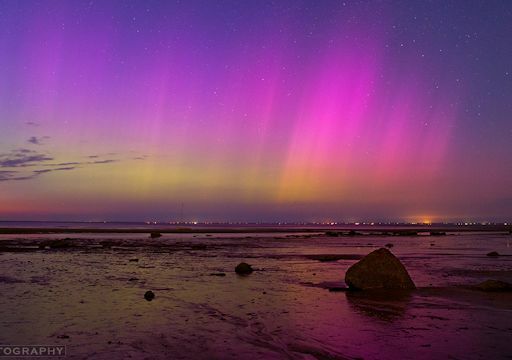 Learn to photograph Northern Lights like a pro. Sign up for Peter Rosen's Aurora Photo Courses in Abisko National Park, winner of the TripAdvisor Certificate of Excellence Award 2015. "They were visible in deep twilight!" he adds. "I positioned myself on a beach overlooking Cape Cod Bay so I could capture the reflection in the water at low tide." 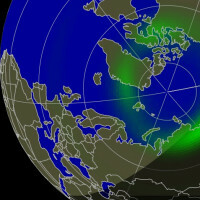 X-ray and UV radiation from the flare ionized the upper layers of Earth's atmosphere, causing a blackout of some shortwave radio signals over North America (blackout map). Mariners and ham radio operators, in particular, may have noticed disturbances at frequencies below ~20 MHz. 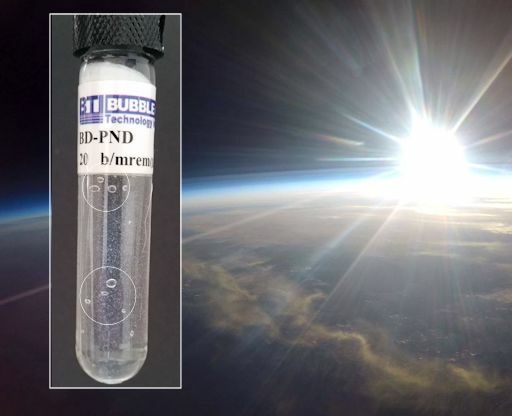 NEUTRONS IN THE STRATOSPHERE: For nearly two years, Spaceweather.com and the students of Earth to Sky Calculus have been using helium balloons to monitor X-rays and gamma-rays in the stratosphere. 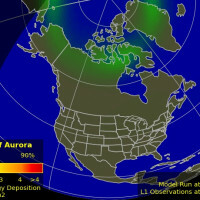 Their successful program has detected multiple radiation events in response to solar storms. On June 18th they added something new. For the first time, the group's Space Weather Payload included a bubble chamber for measuring neutrons. The device flew 109,012 feet above California's Sierra Nevada mountain range, then parachuted back to Earth, landing near Death Valley National Park. The results: Neutrons were detected. Circled above are some of the bubbles that formed as neutrons passed through the chamber. By counting the bubbles, it is possible to estimate the total dose of neutron radiation absorbed during the 3 hour flight. The answer is 600 microRads (energy range 200 keV - 15 MeV). Interestingly, this is almost the same dose detected by onboard X-ray and gamma-ray sensors: 620 microRads (energy range 10 keV to 20 MeV). Lesson: if you only count X-rays and gamma-rays, then you are missing at least half of the radiation in the atmosphere. Neutrons matter, too. On Jun. 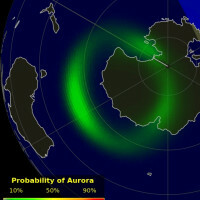 23, 2015, the network reported 27 fireballs. On June 23, 2015 there were 1592 potentially hazardous asteroids.